Matt Lambert-Cluderay started playing local league soccer at the age of 6, he continued playing all through high school representing his High School and district while playing. While playing for his junior club, Bedale Juniors Matt received a 6 week trial for Darlington Football Club, Matt played two seasons for Darlington playing against other northern England academy clubs including, Middlesborough, Hull City and Sunderland AFC. After being released by Darlington Matt started playing Rugby for local sides as well as playing for Northallerton Stallions in the Rugby League Conference. In 2007 Matt pursued a degree in Sports Development from Leeds Metropolitan University, Matt graduated from Leeds Met in 2010 with a BA 2:1 in Sports Development. Matt started coaching in the USA in 2010 with Challenger Sports, after working on Camps and Clinics across the mid-west as well as running academy sessions in Dallas, Matt was offered a full time position with Dynamo Juniors in LA. 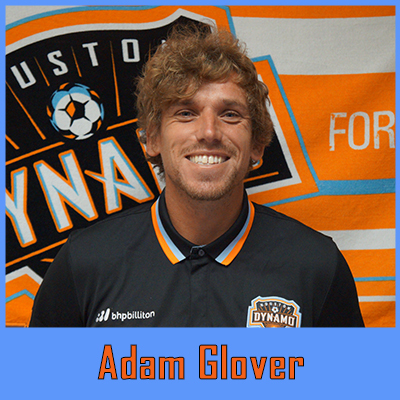 Matt has coached for the Dynamo Juniors since 2012, he has also coached for the Academy of the Sacred Heart in Gran Coteau (Varsity Girls), Berchmans Academy (JV Boys) and Beau Chene High School. Matt is currently the Dynamo Juniors Program Director, overseeing the day to day running of the club, including field maintenance, club administration and management. Played Soccer since the age of 4 years old. Played for the Youth Organization within my local town - "Trowbridge Town FC". Played for the A team from U9 - U16's, we were the most successful team in our area, winning the League and Cup most years. At the age of 16, I was called into the Adult Program, and represented the First Team on 115 occasions, during an 8 year period. I started coaching at the age of 18 years, when my First Team Coach asked me to help him out with a u13 boys team. My First Team Coach was also my coach at Youth level, so I had already learned a lot from him and was excited to keep learning. At 20 years of age I became the Assistant Coach for the U18 girls team before going to College the next year. During my time at College, I played for their 2nd Team and got my Welsh FA Coaching License - this helped me to go into schools and run some after-school sessions. Once graduated, I then traveled to America and worked for Challenger Sports for 3 months doing Summer Camps. I carried on travelling to America on 3 other occasions, to coach in Kansas, Texas and Louisiana before officially moving to Lafayette, Louisiana to coach for Dynamo Juniors. This is my 4th year working with Dynamo.